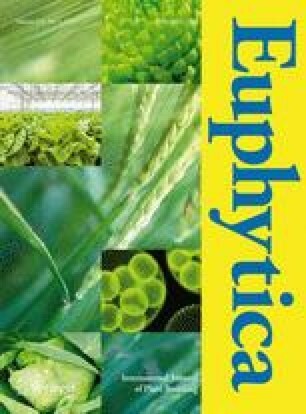 The agronomic and morphological characteristics of Agrobacterium-transformed rice plants carrying the synthetic cry1Ab or cry1Ac gene were investigated. Tremendous variations in plant height, seed fertility, grain size and other traits were seen in 80 T1 lines, derived from 80 T0 plants of 9 rice varieties. On average, about 33% T1 lines had either morphological or agronomic variant plants. Most of the variations in T1 plants had no significant correlation with transgene insertion and were proved heritable to their progenies. Genetic analysis in T3 or T4 generations showed some simple mutations such as chlorophyll deficiency and stunted plants were independent of transgene insertion and seemed to be controlled by a pair of single genes. However, in two independent transgenic progenies of Xiushui 11, all plants homozygous for transgenes showed dwarfism while all hemizygous and null segregants had normal plant heights. Two advanced homozygous Bt lines, KMD1 and KMD2, were developed from these two progenies. Comparison of the agronomic traits of KMD1 and KMD2 with their parent displayed marked differences among them in terms of seedling growth, tillering ability, yield components and yield potential. The genetic variation observed was generally not linked to the transgene locus and was ascribed to somaclonal variation, but other causes might also exist in particular cases. The results are discussed in the context of choosing appropriate transformation methodology for rice breeding programs. Agrobacterium-transformation transgensis somaclonal variation Oryza sativa L.